It seems to be a big week for the fashion industry's resident creep-os. First, New York Magazine published a profile on Terry Richardson, which convinced pretty much no one that he's not a predator, and now, Dov Charney is feeling the fire, as he has finally been ousted from his position as CEO of American Apparel. 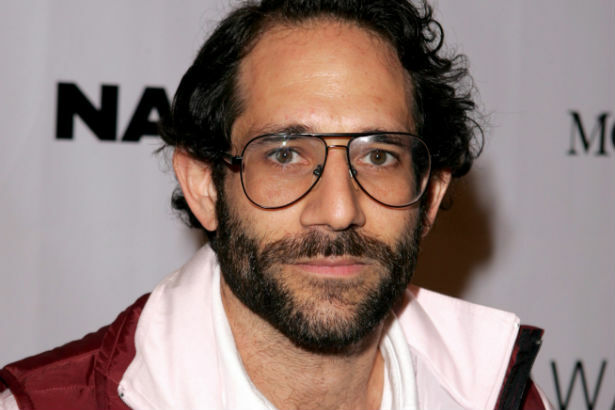 It's been widely reported that Dov Charney's been up to a lot of suspect behavior over the years, but after an "ongoing investigation into alleged misconduct" by the company's board of directors, they came to the conclusion that they could no longer have him at the helm of the label and voted him out. If the several accusations of sexual abuse and more than a few lawsuits brought against him weren't enough of a hint that perhaps something fishy was going on, this profile for Jane magazine, written by Claudine Ko, should have been enough to at least suspend the now-ousted CEO. There was this little gem when Charney pulled himself out in the middle of an interview to pleasure himself: "And thus begins another compulsive episode of what Dov likes to call self pleasure, during which we casually carry on our interview, discussing things like business models, hiring practices and the stupidity of focus groups. 'Masturbation in front of women is underrated,' Dov explains to me later over the phone. 'It's much easier on the woman. She gets to watch, it's a sensual experience that doesn't involve a man violating a woman, yet once the man has his release, it's over and you can talk to the guy.'" Ick. According to Allan Mayer, the company's new co-chairman, "New information had come to light," which sparked them to dig deeper. If Charney's dismissal seems to be coming a little late considering his past, Mayer says that the company was aware of the several accusations made against the former CEO, but "a board can’t make decisions on the basis of rumors and stories in newspapers." Charney himself is reportedly shocked that he's been ousted. As a source told the LA Times, “He’s going to fight like hell to get this company back, but he won’t succeed." American Apparel has been floundering as a company for the past several years. Perhaps by dropping the pervy Charney, they might have a better chance at recovering from the $106.3 million loss they experienced in 2013.